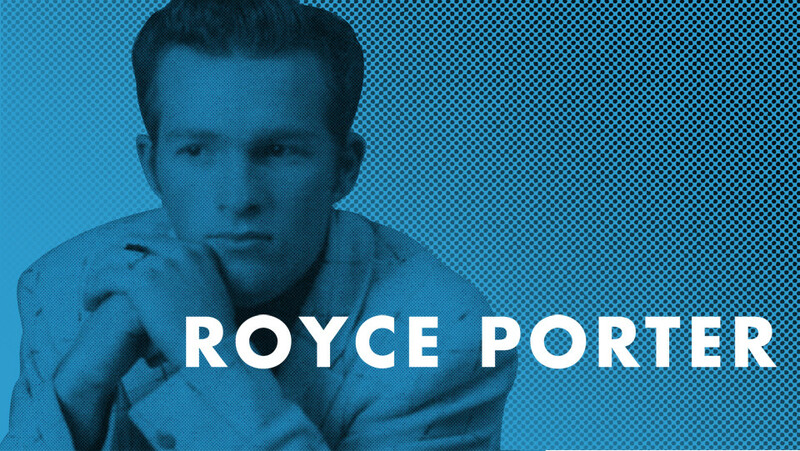 If not for the intervention of the United States Navy, Royce Porter might have achieved rockabilly stardom. He had the voice and the persona to go with it. Instead, Porter eventually became a highly successful Nashville songwriter. Now Royce is back rocking again, and he’ll belt his rockabilly classics on Oct. 3 at the Ponderosa Stomp. Rock and roll caught Porter’s ear early on. “I didn’t like country music back then. It was called hillbilly music back then, and it was really hillbilly. Back with Ernest Tubb and all those, I didn’t care for that particularly. That was a little bit too hillbilly for me,” he says. “Early Elvis, I really liked him. I liked all the guys — Fats Domino and Chuck Berry and all those guys. I still do.” Before long, Royce was itching to join their ranks. 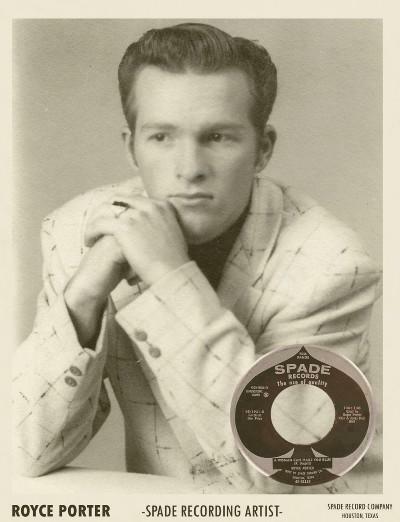 In January 1957, 17-year-old Porter released his debut single on Bennie Hess and Doyle Jones’ Houston-based Spade Records, pairing the rockabilly classic “A Woman Can Make You Blue” and the tasty ballad “I End Up Crying.” Both sides were cut at Bill Holford’s ACA Studios in Houston and penned by Big Springs, Texas, native Ray Doggett, already a Spade artist himself with his “Go Go Heart” hitting the shelves in August of ‘56. “My mentor, my friend Ray Doggett, he was from Sweetwater too. He was a couple of years older than me, but we hooked up. He wrote my songs for me. He wrote all that early stuff. He graduated before I did, so he moved on down to Houston. I don’t know if he’s heard about it or what, but he’d hooked up with Spade,” says Royce. “So he moved on down there, and he had it pretty well set up. And he brought ‘em all back down to see me, back in Sweetwater, which is about 300 miles. It’s a long way, but they came back down to see me. Bennie Hess, he owned the label. He really liked me, so he wanted to sign me up to do a record. So that’s kind of how we got started. We went off down there, and I didn’t know what I was doing. I never had been in a studio in my life, but I went in and cut that one. “We worked on it up there in Sweetwater before we went down. I knew the songs before we went to the studio. We worked on ‘em there in town before we ever drove down to Houston. (Ray) wrote it just for me.” On lead guitar was Donald Price. “I think Donald Price played on both sides of that,” says Royce. “He was my buddy. He was the same age as me. We were in school together, he and his brother Jimmy. Jimmy was like a year older than me, I think. Jimmy was a great guitar player too. Donald was my guitar player. He was my band. Hess was quite a character. A country singer himself, he’d made his shellac debut in 1947 with “You Just Won’t Do” on the Black and White label, turning up on Mercury the next year (“You Ain’t Cheating On Me Now”) and issuing a slew of 78s on the Opera logo (probably his own imprint). 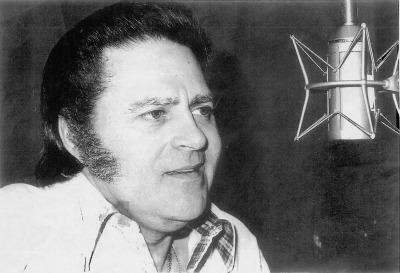 Hess employed a variety of aliases on his recordings (Georgie Harrison, Buddy Page, Idaho Bill Westhall) when he wasn’t using his own moniker, and during the mid-‘50s operated a self-named recording studio in Houston. As “Rocky Night,” he waxed “Teen Age Bop” for his own Pearl label in 1957. The next year he tore through the immortal “Wild Hog Hop” on the Major logo, another of his ventures. His efforts were always met with scant fiscal reward. 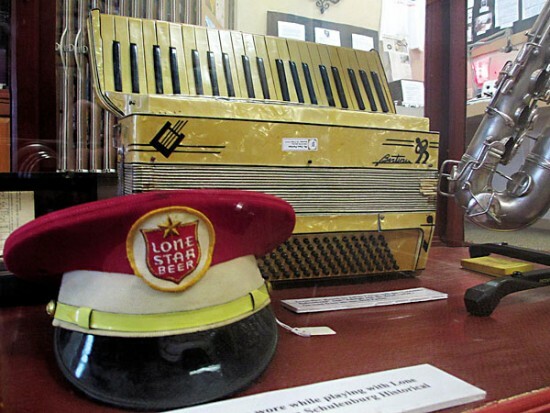 Houston’s Harold “Pappy” Daily was experienced in every facet of the record business, initially as a jukebox operator before venturing into running his own record store in the mid-‘40s and then distributing and producing product. He was one of the co-owners of Starday Records, formed in 1953. The label took off with Arlie Duff’s “You All Come,” but its flagship artist was George Jones, whose smash “Why Baby Why” solidified Starday’s standing in late ‘55. 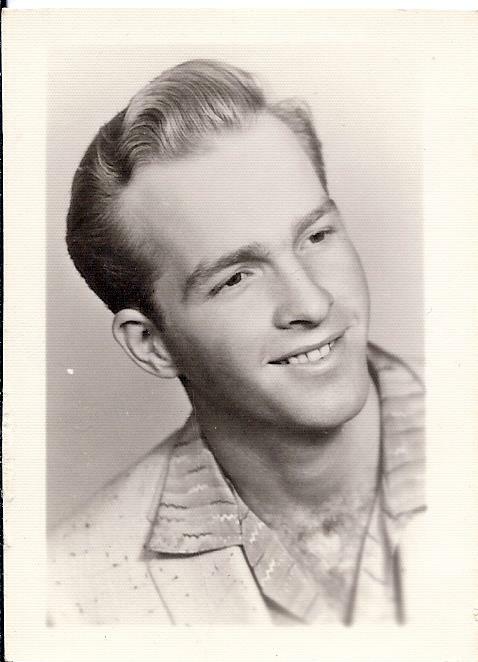 Starday recruited its share of rockabilly warriors during the mid-‘50s — Sonny Fisher, Rudy “Tutti” Grayzell, Glenn Barber, Sonny Burns, even Jones, who masqueraded as “Thumper Jones” for his blazer “Rock It.” When Starday entered into a distribution deal with Chicago’s Mercury Records at the start of 1957, more hungry young rockabillies rolled in, notably Jape Richardson (aka the Big Bopper) and Sleepy LaBeef. Through Daily, that was when Royce joined the Mercury-Starday combine. “Dean was a good buddy,” says Porter. “Dean lived about 60 miles from us in Sweetwater. But we ran into each other. Slim Willet was from Abilene. And he had a TV show there on KRBC. He took over Dean’s management, so that’s kind of how we hooked up, I guess through Slim. ‘Cause we knew Slim pretty well.” Beard proceeded to record for L.A.-based Challenge Records and then a host of other labels into the mid-‘60s. On backing vocals were the Kounts. “The Kounts were some Houston boys that I hooked up with. The main guy was Tom Driskill. 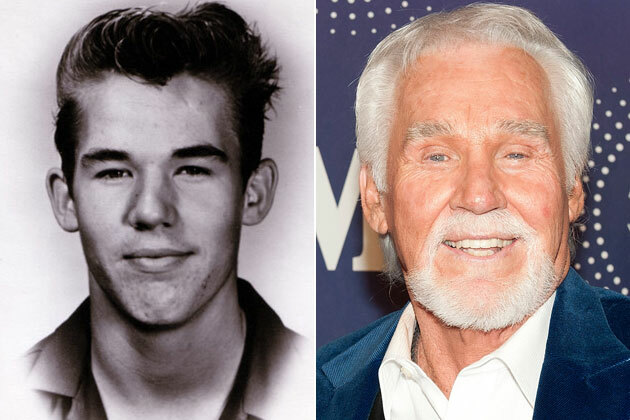 He was a gospel singer,” says Porter (the rest were bass singer Ed Peine, Wes Knebel, and Jack Michael). “The Kounts are on all the rest of ‘em that I did. They did shows with me. We’d go do the record hops and that kind of stuff for the radio stations, and they were always with me on those things. They all had regular jobs during the day, so we had to do our shows at night. Porter’s studio experience wasn’t limited to his own output. He played on a 1957 single by young Houston unknown Kenneth Rogers. “I was in a record store one day in Houston with ‘Yes I Do.’ I took ‘Yes I Do’ in there. That was back when you could go in the store and talk to the people, and if they’d play your record and they liked it, they’d order ‘em,” says Royce. “So he liked mine, and I played it for ‘em, and this guy came over to me and introduced himself. “He said, ‘My name’s Lelan Rogers. 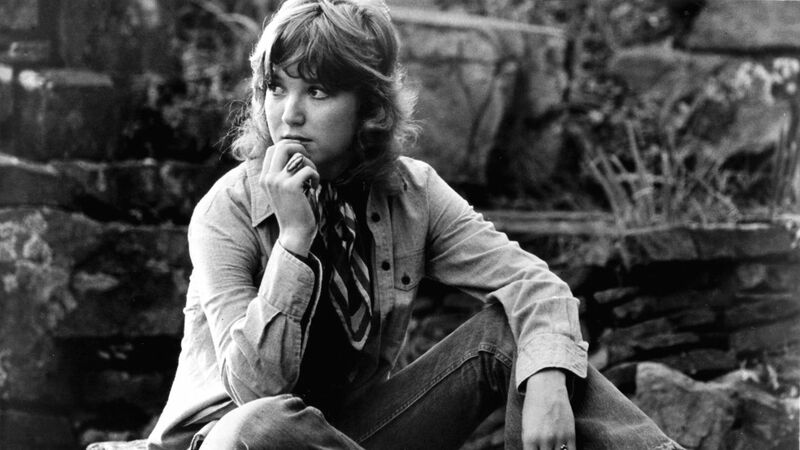 I’m the promotion man for Decca Records in Texas.’ He asked me all about my record — who cut it for me and all that. And I told him. And he said, ‘Can you help my brother get started?’ And I said, ‘If he can sing, I’ll put him in with my people, and see what we can do.’ He gave me a tape on Kenny, and Kenny had three or four songs, three or four cover songs. He sounded then like he does today. He sounded good. I gave it to Ray, and Ray wrote those songs for him. “I played piano on that record, on ‘That Crazy Feeling’ and ‘We’ll Always Have Each Other,’” says Porter, who cofirmed the session was held at Houston’s Cook Studio rather than ACA. “It wasn’t a very famous studio,” he says. “It must not have been around very long.” The single, both sides of which were written by the indefatigable Doggett, initially came out on Lelan’s tiny Kix label before New York’s Carlton Records picked it up for national consumption. Royce recalls Kenny was “just a kid, like all of us. Just thought he was cool, and he was cool.” Another decade down the line, Kenny Rogers and his First Edition would be famous too. Daily did give it one last shot near the end of 1958, pressing up the romping “Lookin’” and its blues-kissed flip “I Still Belong To You” (another pair of Doggett copyrights) on his new D label (he’d recently exited Starday). “We cut those songs probably when we did ‘Beach Of Love’ or sometime or other,” says Porter. “I don’t know where those songs came from. I mean, Ray wrote ‘em, but I don’t even remember cutting those. They released those after I was drafted in the military. That thing came out, it like to killed me when it came out. I thought it was so bad. “So I went back to Sweetwater and kept my job. I worked for about a year and saved up enough to live about a year. And then I decided to move down here. My son, he was a little over 9 years old when I moved up here, so he stayed there with my parents in Sweetwater. At one point, Porter hit the road with popular country singer Razzy Bailey. “Razzy wanted to write with me, and he said, ‘Hell, man, you’re on the road all the time, so why don’t you travel with me?’” he remembers. “I said, ‘No-o-o, I don’t care about that.’ But he kept on, and he called me one time, and he said, ‘I’m fixing to go, I’m going to play Tahoe. We’re going to be staying in Liberace’s house. Why don’t you come with us? We’re going stop and do ‘Austin City Limits,’ and we’re gonna do Disneyland!’ So anyway, I said, ‘Yeah, that sounds like a fun gig!’ So we went and I enjoyed it. “I traveled with him for about a year-and-a-half, and we wrote a little bit. But then he started getting real hot, and the hotter he got, the less we wrote because he had to do interviews and in-store signings, record signings and all that kind of stuff. So pretty soon I said, ‘Man, this ain’t working. I came to Nashville to write songs, not to travel on the road.’ So I left, and then that’s when I hooked up with Hank and Dean and them, and started writing. “Ocean Front Property” came together fast. “We were at a session one day,” says Porter. “We were doing demos, me and Hank and Dean. It was actually Dean’s demo. He had about five or six songs he was doing, and two of ‘em were mine and Hank’s with him. So we did those first. So when we finished with those two, then me and Hank kind of drifted out of the studio, went back into one of the other offices, because we didn’t even know the other songs that he was doing. “We eased off back in the back office back there, and we sat down. I was sitting there with a guitar, and Hank says I came up with the idea. I don’t remember that, but it doesn’t matter who came up with it as long as it was written. But Hank says it was my idea. So anyway, we were working on it. It wasn’t very long, probably just a few minutes, 5-10 minutes. Dean looked up and saw we weren’t there in the studio, and he knew what was going on. So he told the band to take a break, and he came back there. “She was a good friend of mine,” he says. “I knew her quite well. She sang out at my house all the time, and she came in one night about half drunk and said, ‘Why in the hell don’t you ever write me any of these hit songs you write for George Strait?’ And I said, ‘Well, if I ever write you one, I’ll let you know!’ I just didn’t want to take advantage of our friendship, because everywhere she went, people sat her down and made her listen to their songs, whether she liked it or not. Royce came full circle in 2012, journeying to London to perform his early rockabilly classics after a promoter tracked the singer down through his website. “That’s the first time I had really ever done ‘em with a live band onstage,” he says. “I never did get to do them, because I got drafted right after they came out.” Since then, Porter has starred in Las Vegas, Sweden, and Spain. Now he’ll be one of the stars of this year’s Stomp.